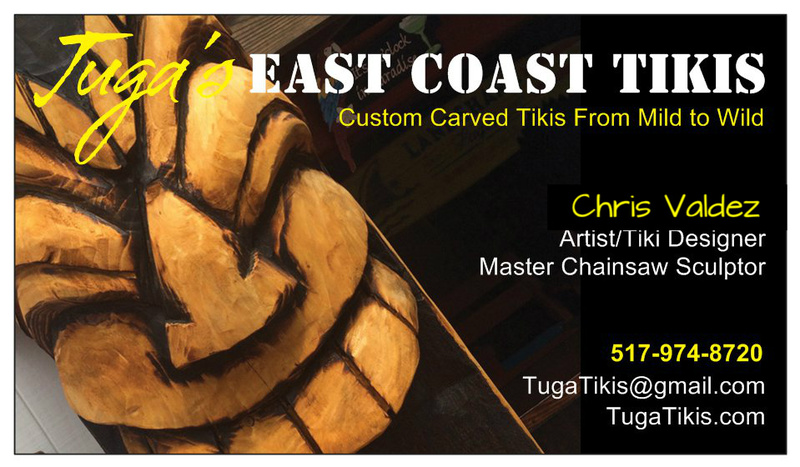 Tuga's East Coast Tikis: Tiki in the Middle of Nowhere! Tiki in the Middle of Nowhere! Haven't carved much this past month. I was busy collecting logs for winter so that I can stay productive. I also went to the Upper Peninsula of Michigan deer hunting. 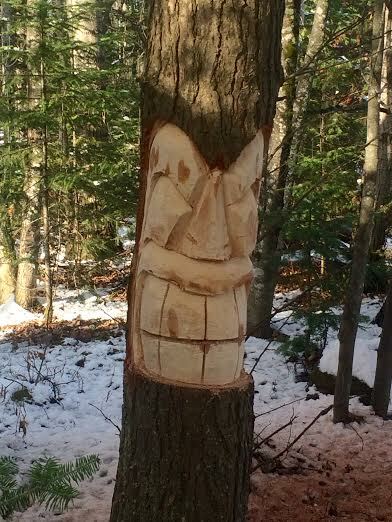 While there I did carve this tiki face on a dead pine. It's in the middle of nowhere and is sure to stir up questions once someone happens upon it. I'll be busy carving again next week and will post as I go. Aloha my friends.